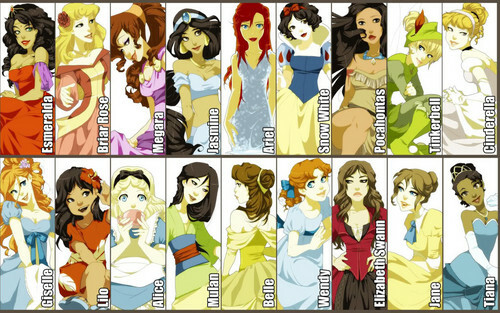 disney Princess Art. art of disney. HD Wallpaper and background images in the heroínas de filmes animados da infância club tagged: disney heroine princess princesses art. This heroínas de filmes animados da infância fan art contains anime, banda desenhada, manga, desenhos animados, mangá, and quadrinhos. There might also be vitral. Oh wow! They all look gorgeous!